Pajama Press is thrilled to announce that three of our titles have been nominated for the 2017 Willow Awards. 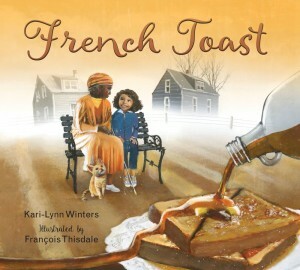 French Toast, written by Kari-Lynn Winters and illustrated by François Thisdale, is a finalist for the Shining Willow Award. In this picture book, Phoebe, the daughter of a white French-Canadian mother and a Jamaican English-speaking father, dislikes her school nickname of “French Toast.” Gently prompted by her blind grandmother, she uses descriptions of familiar foods from both cultures to explain the family’s varied skin colors—and realizes she can take ownership of the nickname proudly. Quill & Quire says it is “simply told and cleverly imagined” in their starred review. 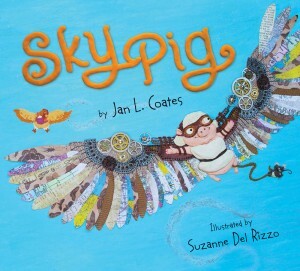 Sky Pig, written by Jan L. Coates and illustrated by Suzanne Del Rizzo, is also a finalist for the Shining Willow Award. In Sky Pig, Jan L. Coates weaves a story of sweetness and whimsy, ingenuity and empathy. Plasticine artist Suzanne Del Rizzo brings dimension and energy to the tale of a pig who wants—against all popular truisms—to fly. He may never reach the sky on homemade clockwork wings, but Ollie still dreams as hard as ever a pig can dream. And Jack, a true friend, realizes that just because a pig can’t fly in the ways they have tried doesn’t mean he can never soar. An uplifting picture book for anyone who has tried and tried again. Sky Pig is also a 2016 Best Books for Kids and Teens selection. 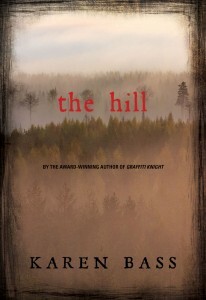 The Hill by Karen Bass is a finalist for the Snow Willow Award. Jared’s plane has crashed in the Alberta wilderness, and Kyle is first on the scene. After a night spent on the hilltop the teens discover something odd: the plane has disappeared. And worst of all, something is hunting them. Karen Bass, the multi-award-winning author of Graffiti Knight and Uncertain Soldier, brings her signature action packed style to a chilling new subject: the Cree Wîhtiko legend. Inspired by the real story of a remote plane crash and by the legends of her Cree friends and neighbours, Karen brings eerie life—or perhaps something other than life—to the northern Alberta landscape. The Hill was also a White Ravens 2016 selection, and a 2016 Best Books for Kids and Teens selection. For more information about these awards, please visit the Willow Awards website. See the full list of 2017 Willow Awards finalists here.